Today, we’re living in a culture where we want to capture and share every beautiful look and outfits through a lens and sometimes, there just isn’t anyone else who is around to do it. Do you know what that means? It’s time to snap a selfie! There's a new player to help all fashion lovers share their tips and looks: MirroCool the selfie smart mirror that snaps and directly syncs up to your smartphone and to the MirroCloud. Imagine being able to take a selfie without extending your arm and having to deal with that weird angle that it creates? Or being able to easily create a stylebook and share how great you look wearing different hairstyles? Stand back, wink and there you go. You got yourself a selfie. Yes smile, wink and blink. That’s all you have to do! 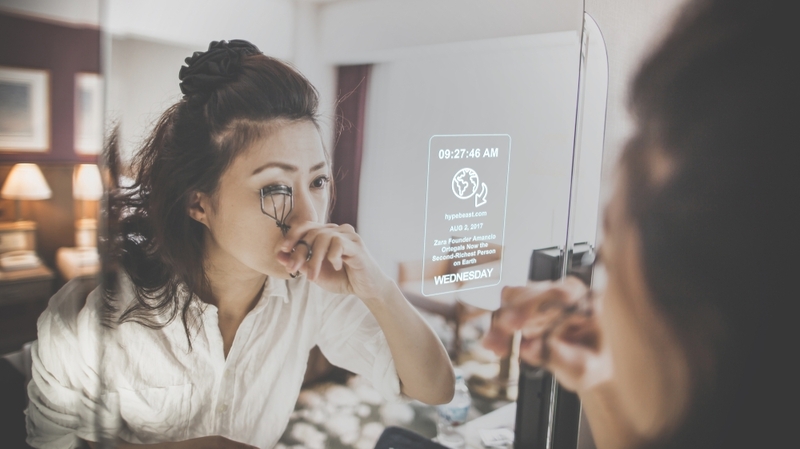 With MirroCool’s facial gesture recognition (FGR) system, one wink will activate the high-definition digital camera, allowing users to stand in front of the mirror and take a selfie with absolutely zero obstructions! Just smile and the MirroCool smart mirror does the rest. Genius? We know - and that’s why we created it so fashionistas like you can capture those fabulous moments even before you leave the house. And with smart learning #AI, your likes and dislikes will be remembered, making a shot as sharp as a snap. 1. Create a stylebook: the MirroCool app will allow you to collect photos of yourself from every angle and generate a stylebook of outfit options for easy access. You’ll never have to stress about how you look from the side in that flowy, bohemian dress again! 2. Snap and print: There’s nothing like sharing those selfies with the world, but why not make it different by printing them and assembling them in a book format. If Kim Kardashian can do it in her book Selfish, you can, too. 3. Add a quote: While filters and frames can be popular, mix it up with your favorite quote or song lyric on the photo! There are many great free photo editing software options that will allow you to perfect this hands-free selfie once it’s snapped! 4. Scrapbook time: Create a physical or digital scrapbook that documents important moments of your life, starting from the one in front of MirroCool that could commence some of your most important days. Be sure to visit the MirroCool website to learn about all the other incredible functionality of this smart mirror and personal assistant, all-in-one and grab yours before it’s too late on our Kickstarter today. MirroCool Smart Mirror was developed by a team of cutting edge innovators coming from industries as varied as mirror production, visual monitoring systems, and access control. MirroCool integrates these verticals and delivers one phenomenal device: the MirroCool, a smart mirror and automated personal assistant. Enter your email address to receive MirroCool updates, latest news, and product update announcements delivered to your inbox. © 2017 Mirrocool. All Rights Reserved.